Bob Stahl is like the wisest, gentlest uncle you’ve ever met. 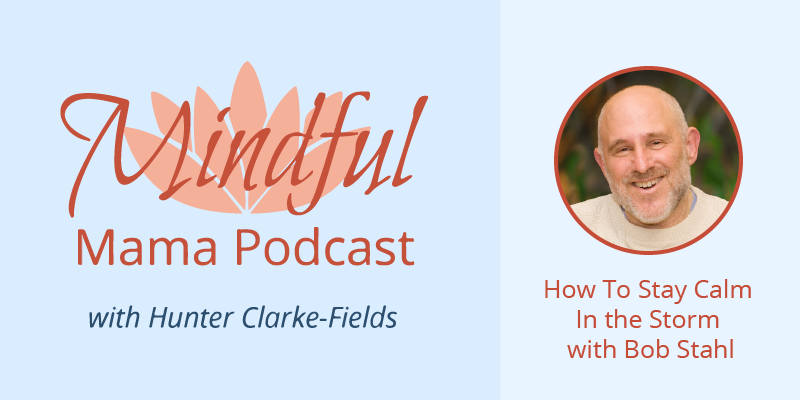 He came to mindfulness through experiences of great loss and failure in his life. He talks about how the practice helps parenting, anxiety, loss, and more. 1. Meditation helps us meet the preciousness and fragility of life. It helps us work with change and impermanence. 2. Taking responsibility to our pain. If we can get ourselves caught, we can get ourselves uncaught. Things that are considered bad news by many people (anger, fear, pain, etc) are good news are showing you where we are stuck. That’s how we take responsibility for ourselves. 3. Mindfulness helps with anxiety by interrupting the rumination – catastrophe cycle. Now you have more options to deal with it. Bob Stahl founded the mindfulness-based stress reduction (MBSR) programs at Dominican Hospital, O’Connor Hospital, and El Camino Hospital in California. He’s also coauthor of A Mindfulness-Based Stress Reduction Workbook, Living With Your Heart Wide Open, Calming the Rush of Panic, and A Mindfulness-Based Stress Reduction Workbook for Anxiety. Find out more about Bob at mindfulnessprograms.com.